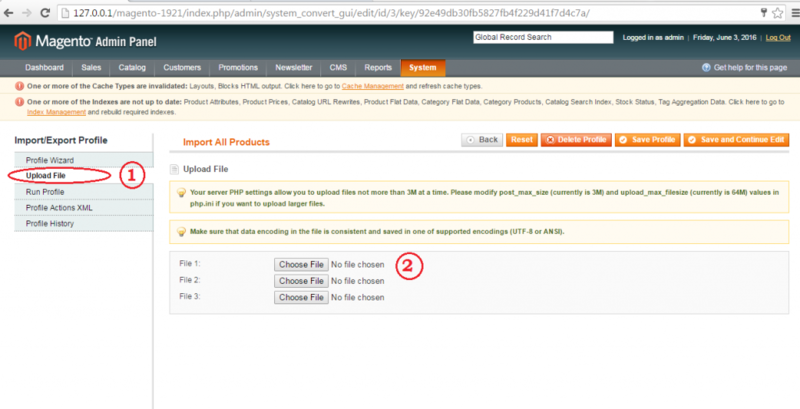 Magento provides various options to import data into the system. 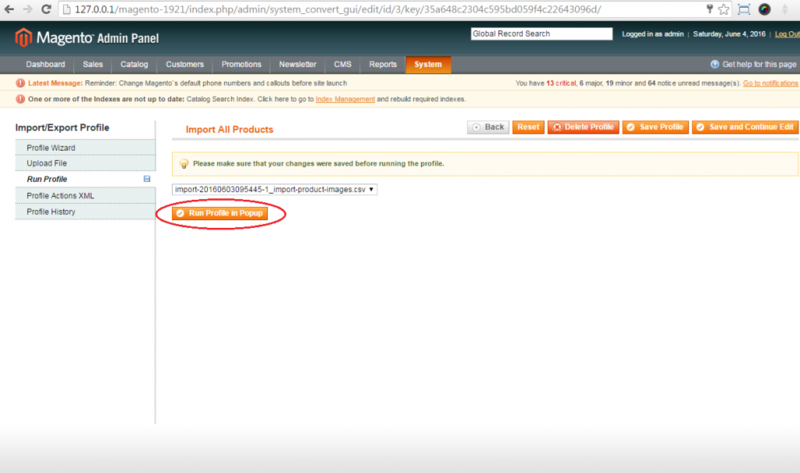 We can use the magento import feature to create products and customers in bulk. There might be situations where you might need to import bulk product images for existing products. 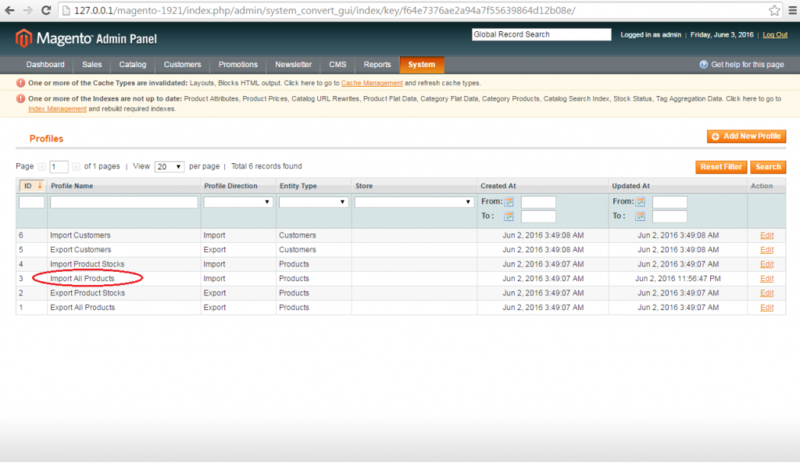 This article explains how to import product images using the Magento's Dataflow. Step 1: Create a new folder “Import” inside of your magento instance's media folder and save your uploaded images in this folder. 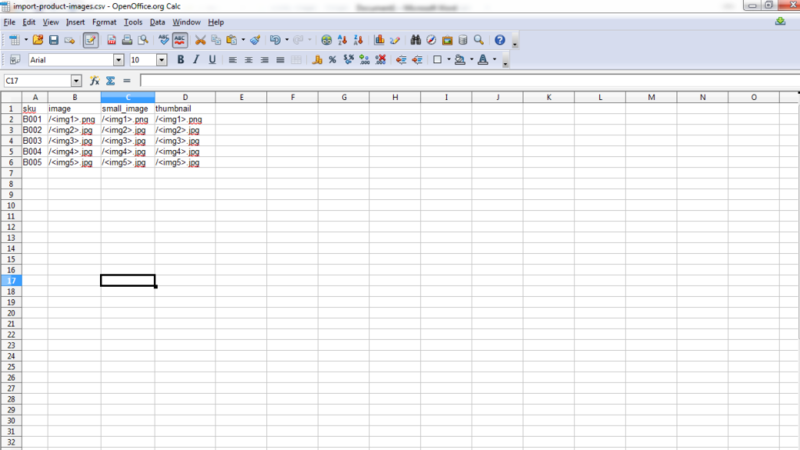 Step 2: Create a new .csv file with the following columns sku, image, small image and thumbnail. sku - Fill sku values of the product(s) for which you want to upload images. Similarly, fill in the values for small_image and thumbnail fields. 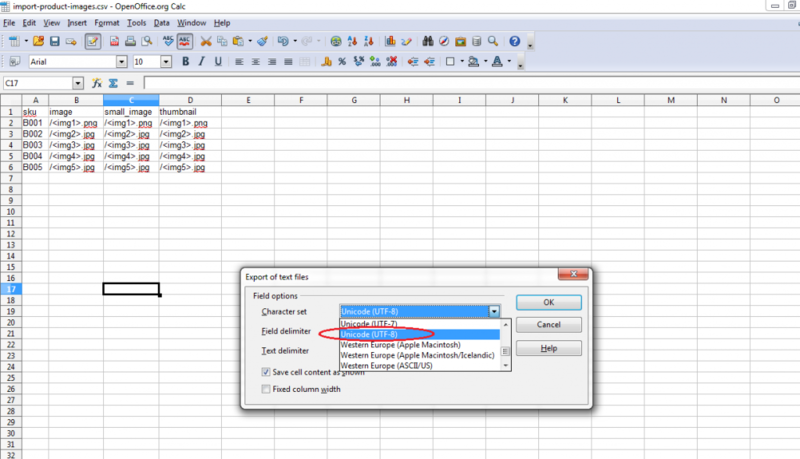 Step 3: Save your csv file using the instructions below. 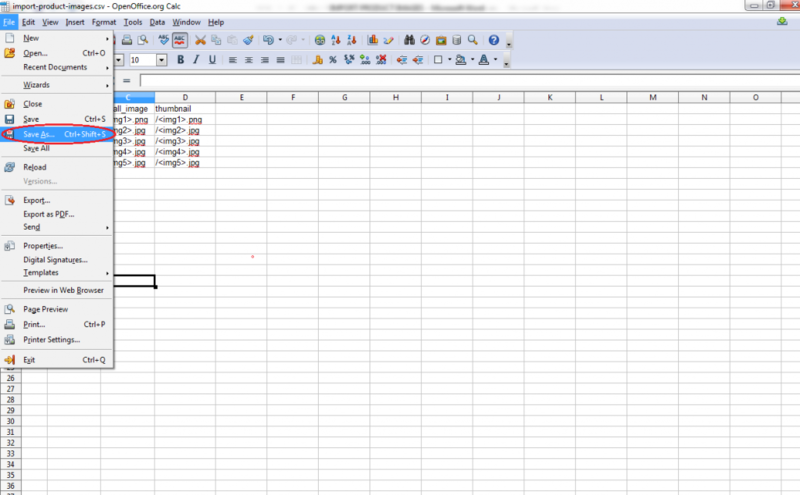 We recommend you to use the Openoffice Calc and saving the CSV in Unicode UTF-8 format.